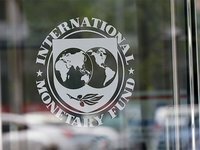 The International Monetary Fund (IMF) in the October 2018 World Economic Outlook (WEO) lowered its estimate for the growth in Ukraine's gross domestic product (GDP) in 2019 to 2.7% from 3.3% projected in April. In addition, the IMF worsened the forecast for GDP growth in 2020 to 3.4% from 4%, but improved this figure for 2018, to 3.5% from 3.2%. The estimate of average annual inflation in 2018 was improved by 0.1 percentage points, to 10.9%, and in 2019 by 0.7 percentage points, to 7.3%. The consumer price growth forecast for 2018 was left unchanged, whereas the figure for 2019 was improved to 6.2% from 6.5%. The IMF also revised upwards the deficit of the current account of the country's balance of payment for 2018, to 3.1% of GDP from 3.7% of GDP, downgrading the figure for 2019 to 3.5% from 3% of GDP. In the five-year term, the deficit of the current account of the balance of payments is expected to decrease to 3.1% (growth to 4% was projected in April). In addition, the IMF experts revised the forecast of unemployment in Ukraine: the estimate for 2018 was worsened to 9.4% from 9.2%, for 2019 - to 9.2% from 8.8%. As reported, the World Bank last week worsened the forecast for Ukraine's GDP growth in 2018 to 3.3% from 3.5% and in 2019 to 3.5% from 4%.